An Accenture report entitled Digital changes the game in financial services outlines some interesting findings from research with 3,000 online consumers in the US. 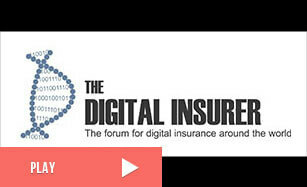 There were three key findings that reinforce what we know about the impact of digital services on the insurance industry. It shows that in the day to day matters – such as managing financial services – consumers are very comfortable with adopting new technologies. The data shows that 32% of respondents were comfortable with mobile payments. They were also very comfortable with using other technologies on a daily basis, including video chat (31%), digital voice assistants (27%) and chatbots (19%). Consumers are more prepared to access digital voice assistants the checking bank accounts (87%) or credit card balances and transferring money and paying bills (80%). This may be due to familiarity as these services have been used by some banks for some time. Even so, more than two-thirds are comfortable using these services at least as often as two or three times a month for comparing and purchasing new financial service products (69%), checking individual stocks (67%) and obtaining investment advice (67%). The first generation of digital natives – those between 18 and 34 years of age – are shown to be more comfortable with technology than the average. There is a smaller difference between this generation/those aged over 34 for digital voice assistants (57% against 34%), and alternative payments (60% against 36% among the older generation). Confidence is lower in the use of mobile wallets such as Android/Apple Pay (57% against 24%) and image sharing apps such as Instagram (70% against 25%). Of greater concern for those insurers looking to roll out AI and machine learning is the low adoption of engagement tools, such as online chat and text messages (44%/17%) and video chat (35%/9%). However, the experience of these new technologies is encouraging consumers to consider providers based upon the technology they implement. Those consumers who have considered a switch of the provider are interested in alternative players. In banking, it is 56%, wealth management 53% and insurance 49%. 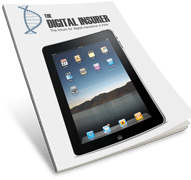 This research confirms that insurers should be less concerned with having to educate customers about the benefits of digital connectedness than not having ecosystems to satisfy their growing demand for digital engagement.